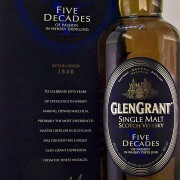 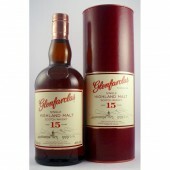 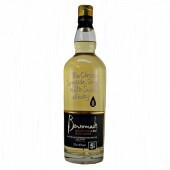 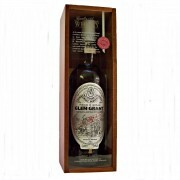 Glen Grant Five Decades Single Malt Whisky. 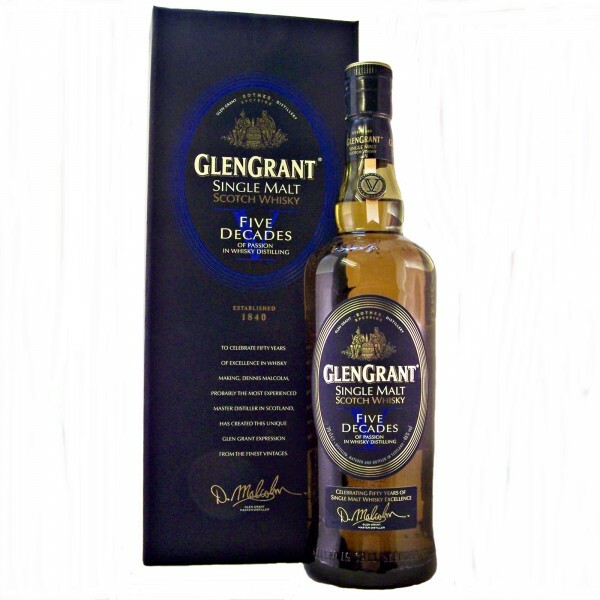 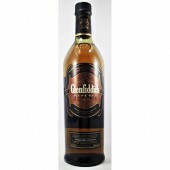 Glen Grant Five Decades Single Malt Whisky specially crafted by Glen Grants Master Distiller Dennis Malcolm to celebrate his 5 decades of experience at the distillery. 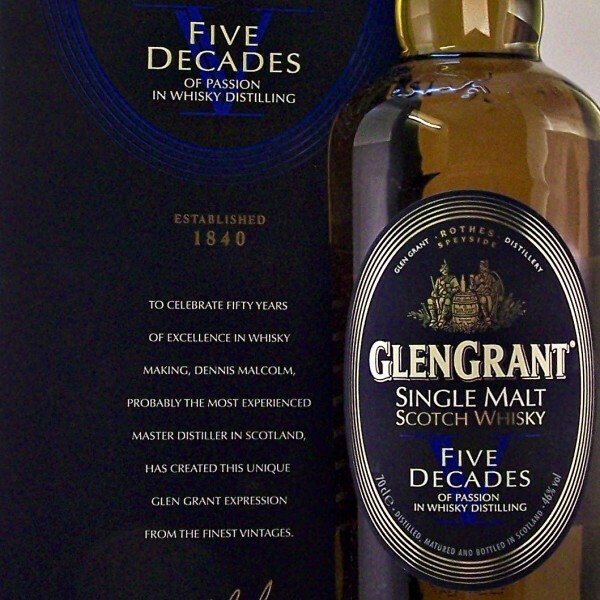 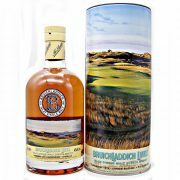 Ideal 50th Birthday present for a whisky lover. 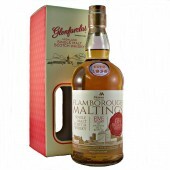 This Limited Distillery Edition Single Malt Whisky is a unique marriage of hand-selected Glen Grant vintage whisky casks taken from over the last 50 years. 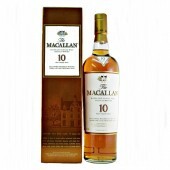 Nose; A rich and smooth marriage of vanilla, honey and Oloroso sherry. 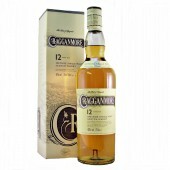 Palate; Wonderful mouth-feel of orange blossom and honey. 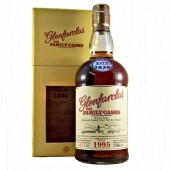 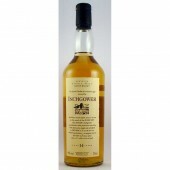 Intensely creamy , with sweet toffee and mellow raisin fruit. 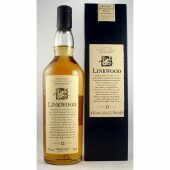 Finish; Smooth and fruity lingering aftertaste. 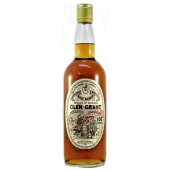 Glen Grant Malt Whisky Distillery History. 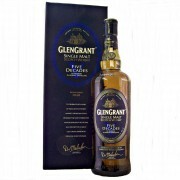 Brothers James and John Grant founded the distillery in 1840. 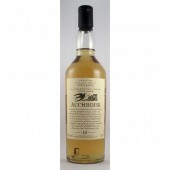 They were attracted to the location by the plentiful supply of spring water from the Caperdonich Well on the hillside above. 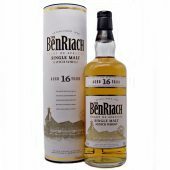 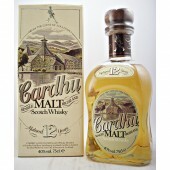 They had been smugglers and also worked the Dandaleith distillery near Craigellachie during the 1830s.